Today is Sunday, February 26th and for many people in the United States, it is a huge night on television. Tonight, ABC will be broadcasting The Academy Awards. Known as the Oscars, these awards celebrate the best of the movie industry. The 89th Academy Awards ceremony will be held tonight at the Dolby Theatre in Hollywood at 7pm ET/4pm PT. Late-night TV comedian, Jimmy Kimmel will host the evening. Jimmy Kimmel is getting paid $15,000 to host the Academy Awards. The cost of a 30-second commercial during the Oscars telecast is $2.1 million. Lin-Manuel Miranda, Sting, Justin Timberlake and John Legend are set to perform. In this year’s swag bag, the contents are estimated to value anywhere between $100,000 and $200,000. One of the most interesting categories of the night is usually the award for the Best Original Song. It is presented to the songwriter who has composed a song written for a specific movie. Unfortunately, the artist who performs the song is not credited unless they contributed either some lyrics or music. Below are some of the classic winners from previous years. These songs not only identify with the movies in which they were featured, they are often representative of their era. 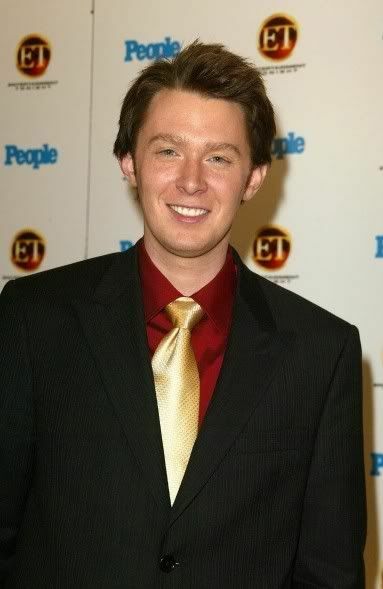 Clay Aiken has never had a prominent position at the Oscars, but back in 2005, he worked for the television show, The Insider, as an on-site reporter at the Emmys. After the event, Clay donated his entire Emmy outfit to The Clothes Off Our Back. This charity was started by Bradley Whitford and Jane Kaczmarek. The organization sold items worn by celebrities at special occasions. When the auction was finally over, the tuxedo, shoes, and cufflinks that Clay wore to the 2005 Emmy Awards went for a final amazing total of $27,250. 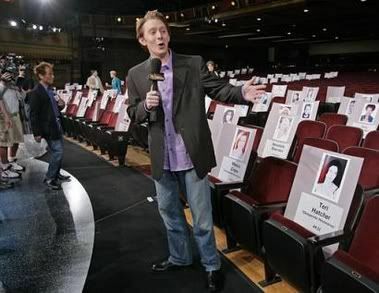 The following are a few pictures of Clay working at the Emmy Awards in Pasadena, CA. Working at the Dress Rehearsal! Did you see Clay working as a reporter for the Emmys? What movie song would you like to hear Clay sing? 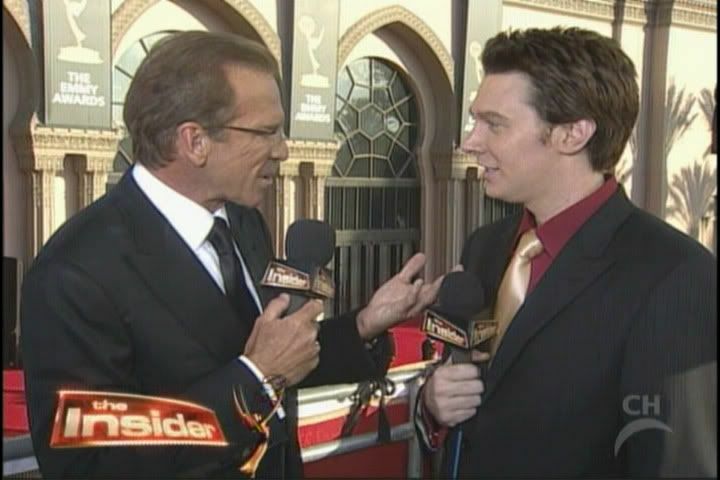 Yes I remember seeing Clay work the emmys. I thought he did a fine job. He looked great. Nice suit, shirt, &tie combo. I probably won’t be watching the oscars. Hollywood has overdone their political element, & I don’t support them anymore. I would like to hear Clay sing Somewhere Over The Rainbow. I think he would do a good job. Thanks for all the interesting oscar facts. Jimmy’s salary seems small compared to what everything else is costing. Looking forward to your next post. ❤️ UNCONDITIONAL love for you Clay. Congratulate Jimmy. Clay performed several songs from the Oscars throughout his career. But I would love to hear him sing "You'll be in My Heart" from "Tarzan". No, I'm not watching. I remember "Flashdance" because I was an 80's teen. I would have watched if Clay was nominated. I saw where a group of prisoners from Malawi got a nomination. That was featured on 60 Minutes tonight. Clay did an excellent job. I would love to see him on television again. I saw Clay “work the Emmys” too lol. He was good, I think a bit nervous as anybody would be first time, but of course everybody liked him and the interviews went well. My favorite line was when he did a double-take of some lady out of camera range and he told his co-host that her dress looked “like dental floss”. I was impressed with the originality of his description; then later she was on camera and her white dress did indeed look EXACTLY like a hank of dental floss threads! ROTFL!! Don’t have a TV to watch whole Oscars and it’s just too long now, and I haven’t seen any recent movies so don’t mind who wins. I am interested in Jimmy Kimmel so I’ll check out his performance on YouTube. Sometimes he comes up with a gem, like on the AMAs when he called Clay and Ruben “spaghetti and meatball”, remember that? Error: Error validating access token: Session has expired on Tuesday, 21-Aug-18 16:13:01 PDT. The current time is Thursday, 25-Apr-19 23:59:34 PDT.